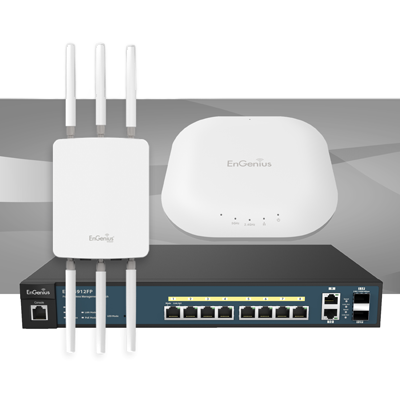 Ideal for Schools, Colleges and Universities the Neutron Series WiFi Controllers combine Management, PoE and Switch functionality into a single rack-mountable 1U case. 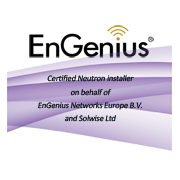 The EnGenius Neutron series has no licence fees! 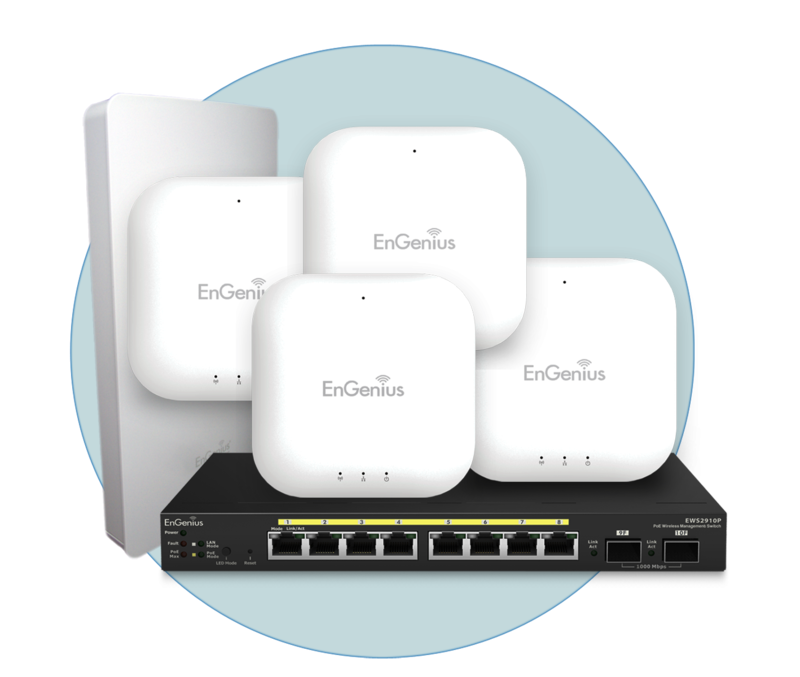 "Being an EnGenius user for many years (9+?) 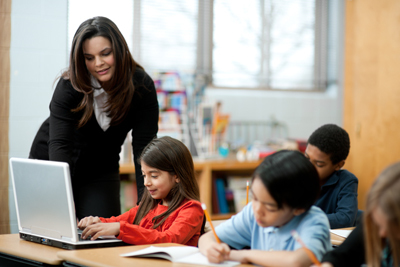 for our inter-building links gave us confidence that the Neutron product would be a capable and cost effective alternative to the expensive managed systems that have been pushed in the school setting. It is very easy to set up, management is straightforward and the experts at Solwise are always on hand to assist with any unusual configurations. 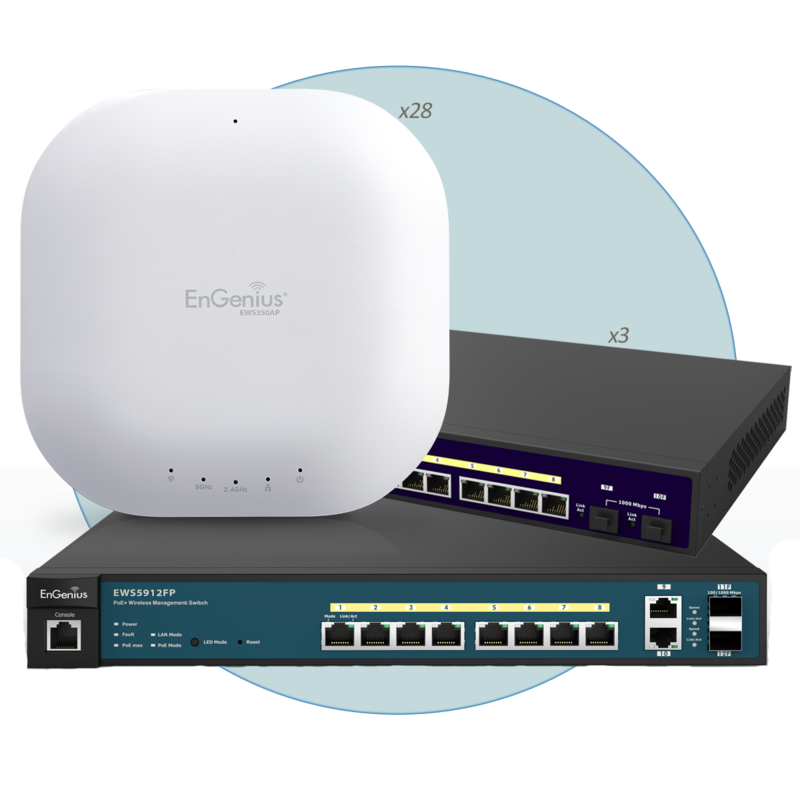 As wireless usage increases in the classroom the Neutron solution will let us effortlessly expand where - and when - we need it."